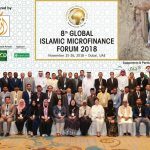 In recent years, Islamic microfinance has become a rapidly growing market, offering millions of disadvantaged people in Muslim countries and beyond access to financial services that are premised on providing for the welfare of the population. 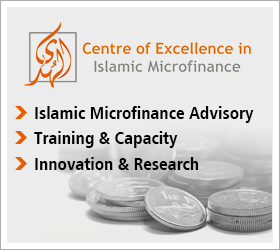 Islamic microfinance refrains from practices that are not compliant with Islamic law – the sharia – such as providing or receiving any fixed, predetermined rate of return on financial transactions. Profits and returns are based on tangible assets or discrete, identifiable services opposed to the value of money. The approach is asset-based, rather than debt-based like conventional finance. 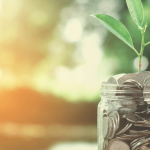 In comparison, the terms and conditions of Islamic microfinance are more favourable and accessible for the most vulnerable and disadvantaged populations. They are based on risk- and profit-sharing, fixed prepayment rates, and transparency aiming to safeguard social welfare and justice. As a result, Islamic microfinance is becoming an ever more important instrument to fight rural poverty in Muslim countries, and effectively diversify strategies improving access to finance in other parts of the world. Over recent years, Islamic finance has emerged from a market niche to a rapidly growing industry worldwide. More than 500 sharia-compliant institutions have been created in the past 30 years, spread across 75 countries. With a market size of US$1.3 trillion, growing at about 15 per cent per year, the sector attracts increasing interest from both Muslim and non-Muslim countries. Service providers include both Islamic banks and commercial banks that have opened Islamic finance windows to tap into this growing market, supported by international financial institutions such as IFAD. The Fund’s Near East, North Africa and Europe Division has successfully launched a series of initiatives piloting the use of Islamic microfinance products. Some of the most promising innovations being tested through IFAD-supported operations in the region are described below. The murabaha sale is the most widely offered sharia-compliant contract used to finance goods needed as working capital. Upon request of a specific product by the client, the financier procures it directly from the market and resells it to the customer after adding a fixed margin for the service provided. Profit- and loss-sharing contracts most encouraged by sharia scholars are musharaka and mudaraba. Musharaka describes equity participation in a business venture. Parties share the profits or losses according to a predetermined proportion. This type of financing can be used for assets or working capital. Mudaraba constitutes a trustee financing instrument where one party acts as financier while the other provides managerial expertise in the project’s execution. A contract of exchange between a vendor and a buyer for the sale of an asset is called istisna`a. 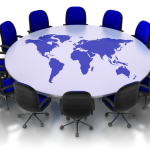 Salespersons can either manufacture the products themselves or purchase them from a third party. End clients can pay the sale price either as a lump sum upon signature of the contract or later at different stages of the manufacturing process. Qard al hassan is an interest-free loan used to bridge short-term financing gaps. The principal amount of the loan is repaid by the borrower without interest, mark-up or a share in the business the loan was used for. Qard al hassan is designed for people in need and the only type of loan in Islamic finance. Different Islamic microfinance contract modalities are being tested in IFAD-supported operations in the Near East and Europe. The results to date are promising and nurture the increasing demand for sharia-compliant financial services worldwide. Offering sharia-compliant credit, savings and microinsurance, particularly to women, the Agricultural Bank of Sudan Microfinance Initiative (ABSUMI) was created within the Agricultural Bank of Sudan (ABS) through a pilot phase in two localities in North and South Kordofan. Starting in 2010, ABSUMI was supported by three key stakeholders: the IFAD-funded Western Sudan Resources Management Programme, ABS and the Microfinance Unit of the Central Bank of Sudan. ABSUMI entered the microfinance market at the bottom layers of the economic pyramid providing much smaller loans (on average US$130) than those of other microfinance programmes in the country (on average US$650), benefiting the most disadvantaged segments of the population. Figures show that the risk carried by the financing service is zero, while the model has cultivated strong credit discipline among rural poor people with a repayment rate of 100 per cent. As of May 2012, ABSUMI had reached 36,000 members of 6,000 households through 350 women’s groups. It had mobilized savings worth US$72,000 with a client base of 4,500 borrowers and a loan portfolio of US$700,000. Its loans based on murabaha and musharaka are supporting small agricultural activities, livestock fattening and rearing, and a range of microenterprises such as petty trading, tea stalls and brick-making. The IFAD-funded Idleb Rural Development Project in the Syrian Arab Republic’s Governorate of Idleb is working to improve the food security and incomes of farmers and rural women in 140 of the country’s poorest villages. To do so, the project channels credit through sanadiq, which are local, autonomous microfinance institutions providing loans to disadvantaged rural people, particularly women. Sanadiq are owned and managed by local communities as village funds. They disburse their loans in the form of murabaha, financing goods that borrowers wish to purchase. 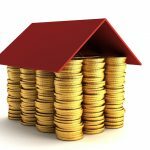 In return, clients repay an agreed profit in instalments. The loans allow farmers to bypass moneylenders and make more profit from their produce. 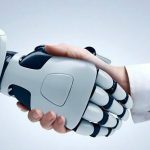 In the context of the highly centralized banking system in the Syrian Arab Republic, the concept of sanadiq has rapidly become one of the most innovative and successful autonomous microfinancing models in the country. 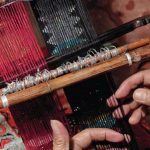 At the end of 2010, 30 villages in Idleb had established sanadiq with more than 6,600 shareholders, 40 per cent of whom were women. Repayment rates reached 98 per cent, and the sanadiq committees were fully self-financed, covering their entire administrative costs. IFAD-supported projects have also been an important vehicle for expanding Islamic microfinance products into the Eastern European region. In Bosnia and Herzegovina, a combination of musharaka (business venture) and ijara (leasing) was provided by the Bosna Bank International (BBI) under the Rural Enterprise Enhancement Project. The initiative is triggering the sustained growth of rural enterprises and employment opportunities in disadvantaged municipalities. In alignment with the Government’s poverty reduction strategy, IFAD assistance has focused on supporting smallholder livestock production by strengthening rural organizations and empowering farmers along dairy and meat value chains. The MS Alem Company is at the centre of one of the most remarkable stories. In 2009, the company received a sharia-compliant loan from IFAD through BBI, which was used to buy new processing equipment and acquire training to modernize its meat production infrastructure. The credit also increased employment opportunities within the company and for input providers. Through musharaka, the enterprise also obtained a certification for the production of halal meat (that is, meat that is permissible under Islamic law). Today, MS Alem, which is based in a rural municipality outside of the capital city of Sarajevo, is a leading company in the national meat industry. 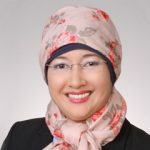 Risk-sharing: By sharing potential risks between investors and clients, Islamic microfinance becomes more attractive for borrowers who will not carry the full risk as compared to many conventional products. Profit-sharing: In Islamic microfinance, the lending institution is no longer a sole financier but becomes a co-owner of the business with a strong interest in its success. 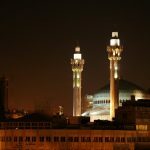 Fixed repayment rate: In line with the sharia, which prohibits any rate of return on financial transactions, Islamic microfinance products have a fixed repayment rate with no possibility of making profit through interest. Transparency: Islamic microfinance stipulates contracts with a fixed liability that is known to the customer upfront. 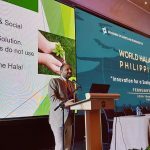 Social welfare and justice: The ultimate goal of Islamic microfinance modalities is to ensure growth with equity for social welfare and justice. 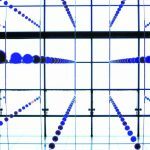 In line with this principle, sharia-compliant financing foresees that, in a context of default, the penalty is limited to no more than 1 per cent of the outstanding instalment. 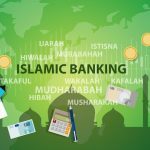 These terms and conditions, aiming to safeguard social welfare and justice, make Islamic finance products a viable alternative to conventional lending. In the Sudan, ABSUMI is scaling up the initiative by establishing six new units between 2012 and 2013 with the objective of reaching 150,000 households over five years and mobilizing US$10 million of savings. In Azerbaijan, the Integrated Rural Development Project, cofinanced by IFAD and Islamic Development Bank (IsDB), is currently introducing sharia-compliant instruments in the regions of Agdash, Oghuz, Sheki and Yevlakh. IsDB provided US$65 million under the istisna`a modality for irrigation schemes and US$2 million in the form of qard al hassan to support IFAD resources earmarked for microcredit services. In the current global financial crisis, IFAD-supported projects offer new and innovative rural finance instruments reaching out to the most vulnerable populations in remote areas.